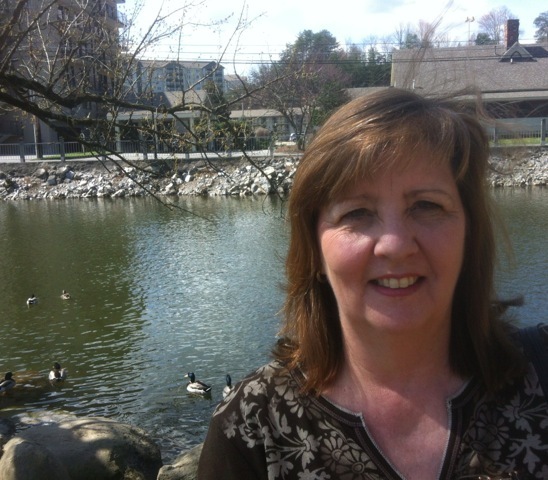 This month’s member profile is Sandra Warr. Of course there are more than one! There’s the log-cabin inspired Bee quilt top constructed with Kaffe Fassett charm squares & strip sets from the quilt shop hop that needs to be quilted and bound, a paper-pieced quilt top (also from the Bee Babes) that’s not quite big enough, so I need to make 12 more blocks, and an “heirloom” quilt made from blocks pieced by my husband’s great-grandmother that I’m attempting to hand-quilt. I’m also making “Prayer Bears” for a church ministry that’s an ongoing project, and whatever clothing my daughter requests. The Fox Theatre – my husband and I have been Broadway in Atlanta season ticket holders for many years – and The Varsity. I’m officially retired, but have recently returned to my pre-retirement job at the State Accounting Office on a temporary part-time assignment. When did you learn to sew and from whom? The first thing I remember sewing is a skort (except back then we called them “scooter skirts” – I don’t know why) in eighth grade home ec, but Mom taught me a lot during and after that class. Do people in your family sew? My mom made lots of my clothes when I was growing up – even prom dresses. My sister also sews and my daughter is learning. It’s what I do. I like making pretty things for other people. What is your favorite sewn item you’ve made? A “Belle” costume (from Beauty and the Beast) for my daughter one Halloween. What is the one thing you hate to sew? I don’t like to do mending. This entry was posted in Member Profile and tagged Member, memberprofile by West Atlanta Modern Quilt Guild. Bookmark the permalink.